This handbook was created to help every mom, and dad, navigate the course of each pregnancy and to also provide useful information in the preparation for and care of the newborn baby.It will help every woman and family to capture those unique moments and events in a baby’s life, from the time of conception onwards. Those moments that are so special and unique and which cannot be replicated. 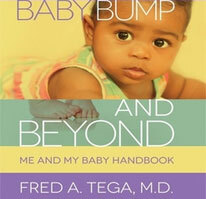 It is a veritable source of information and a keepsake for you and your baby.